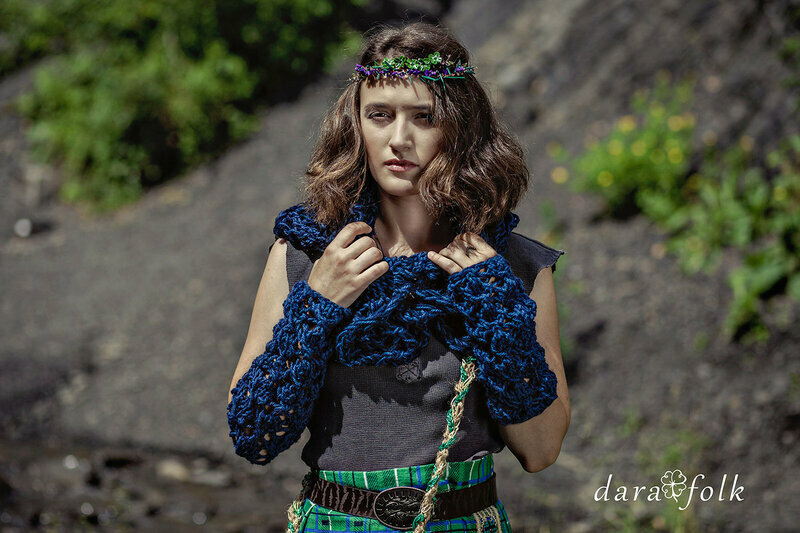 Home / DaraFolk Fashion • DaraFolk News / Snoods from “green island”. 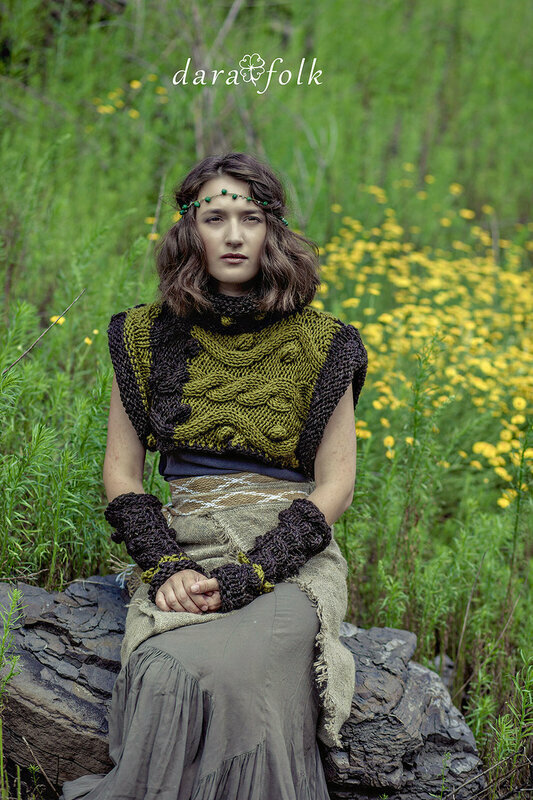 The DaraFolk Fashion snoods are from the "Green hills" collection. Photographer : Anastasia Dolgova. Models: Elizabeth Nazarova, Elena Kirilova, Daria Evtushenko, Aleksey Turkin. Designer: Daria Evtushenko. The main idea of snood's creation was to combine the identity of country, ethno, boho and adapt these styles to the modern fashion. 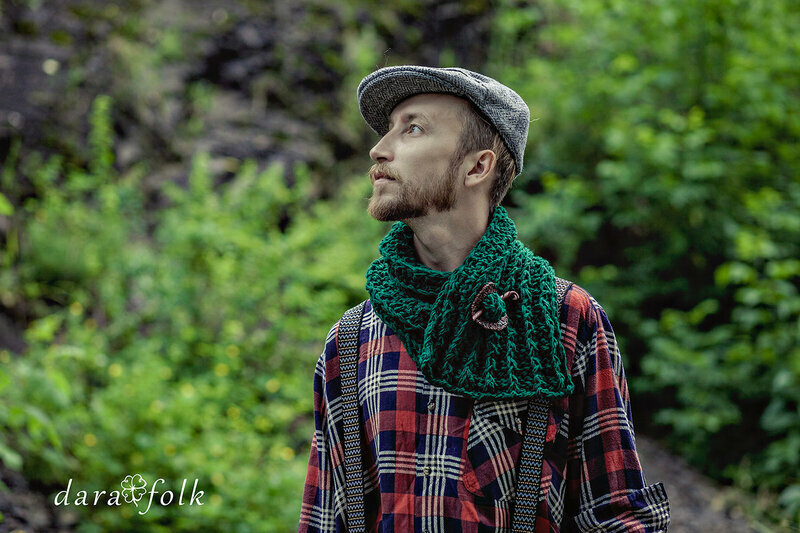 The DaraFolk's snoods are convenient, comfortable and at the same time stylish. 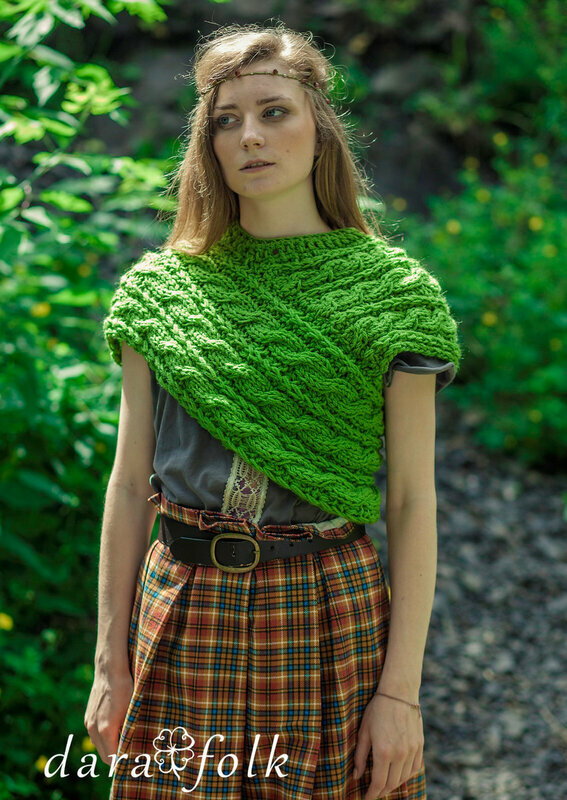 Easy knit, cables, bobbles and natural sheep wool make these snoods look like classical irish knitwear. 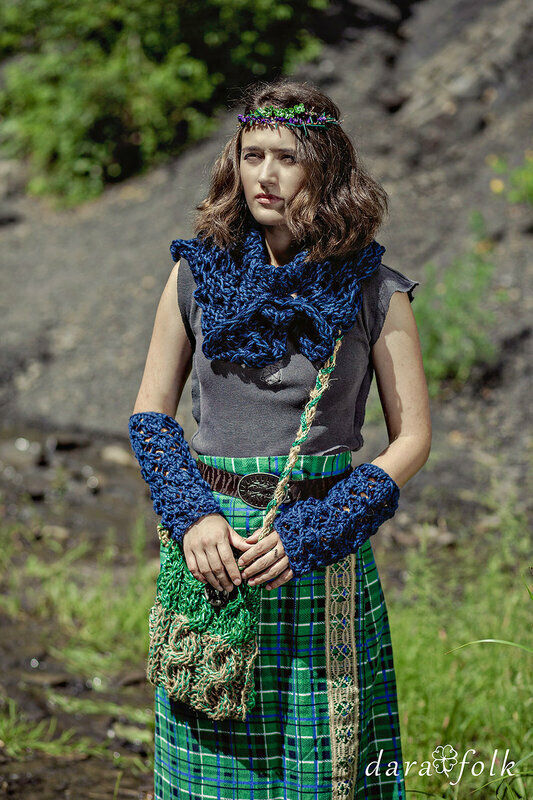 Some snoods are supplemented with mittens. 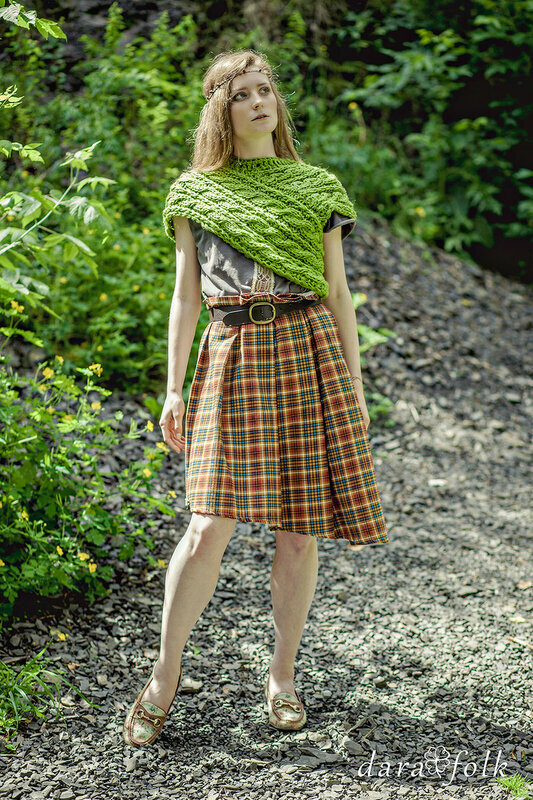 I wanted to create such a knitwear, wich would be suitable for any clothes. Favorite old jeans, check skirt, loose shirt, denim jacket, back skin will look great with such snood. 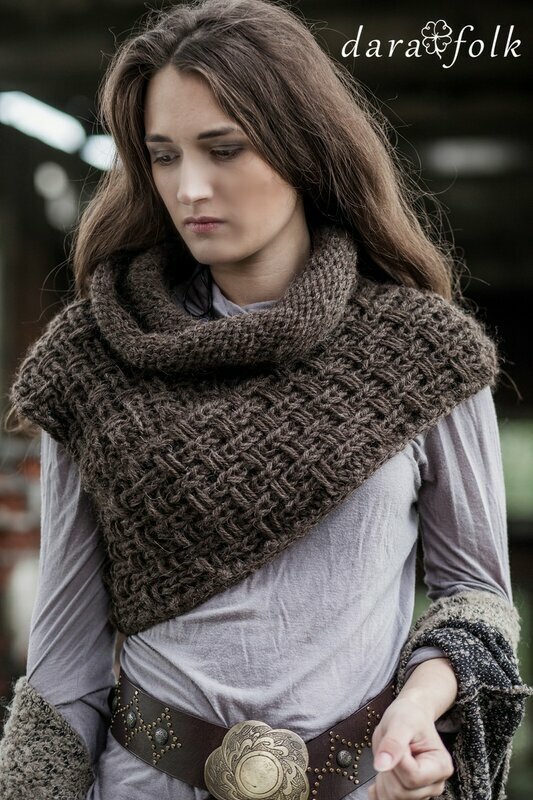 Natural colours and motifs, smooth to the touch texture and woolen yarn of DaraFolk's snood will transform your image, will inspire to new creative ideas in your wardrobe and will warm you in the cold evening!